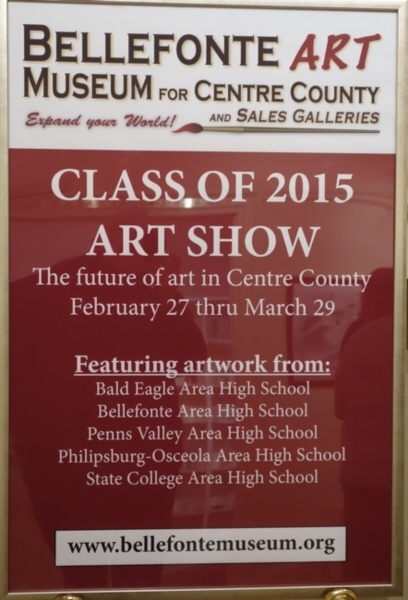 Due to the closing of the Gamble Mill, The CENTRE COUNTY HIGH SCHOOL SENIORS show, originally scheduled for the Gallery at the Gamble Mill, will be held in the Bellefonte Art Museum for Centre County during the month of March. Museum hours are Fridays, Saturdays and Sundays from 1:00 - 4:30 pm. OR by appointment. A general reception is held the first Sunday of the month from 1 - 4 PM (March 1).